Kerala government’s assurance that there is no need for panic has had little impact. 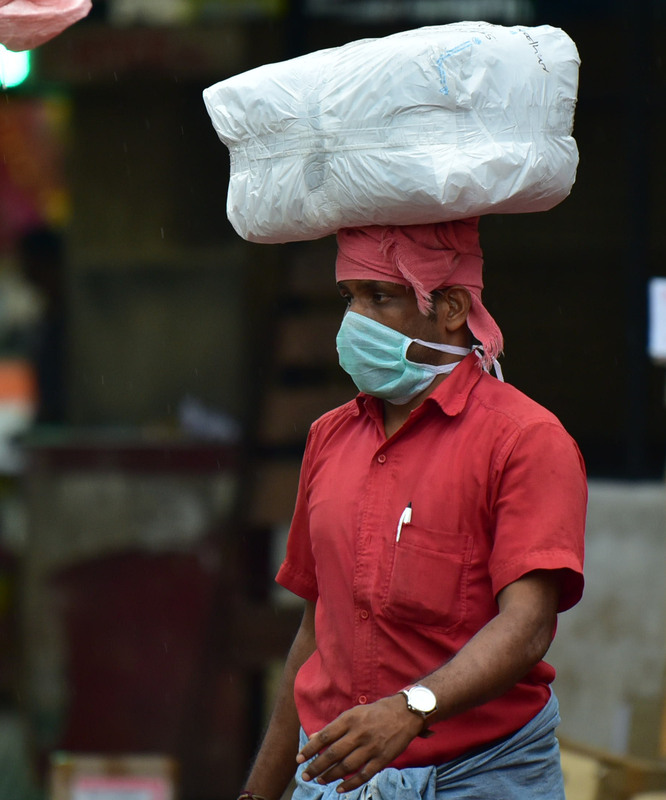 The Kerala government said on Sunday that no fresh Nipah virus infections had been reported in the last few days and there was no need for panic. 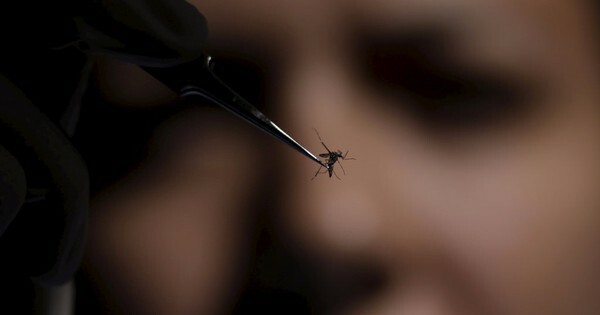 The statement followed a meeting chaired by Chief Minister Pinarayi Vijayan to assess the measures taken to contain the virus, which has in the past month infected 18 people and killed 16 of them – 13 in Kozhikode district and three in neighbouring Malappuram. The Nipah virus causes fever and upper respiratory distress in humans that quickly escalates to encephalitis or inflammation of the brain, and in some cases myocarditis or inflammation of the heart. Its natural host is the fruit bat and it is transmitted through contact and transfer of body fluids. According to the World Health Organisation, there is “no vaccine for either humans or animals and the primary treatment is intensive supportive care”. The first Nipah death in Kerala took place on May 5, and was confirmed by the National Institute of Virology in Pune on May 20. The two infected persons are being treated at the Government Medical College Hospital in Kozhikode while around 2,000 more are under observation on suspicion of having come in close contact with infected persons. Among the dead was Kozhikode nurse Lini Puthussery, who was infected by her patient and whose final letter to her husband went viral. In Kozhikode and Malappuram, however, the fear of fresh infections remains palpable and the government’s assurance has made little difference. People here continue to stay indoors, coming out only to buy essentials. Business is down in the markets while few travel by bus and train. 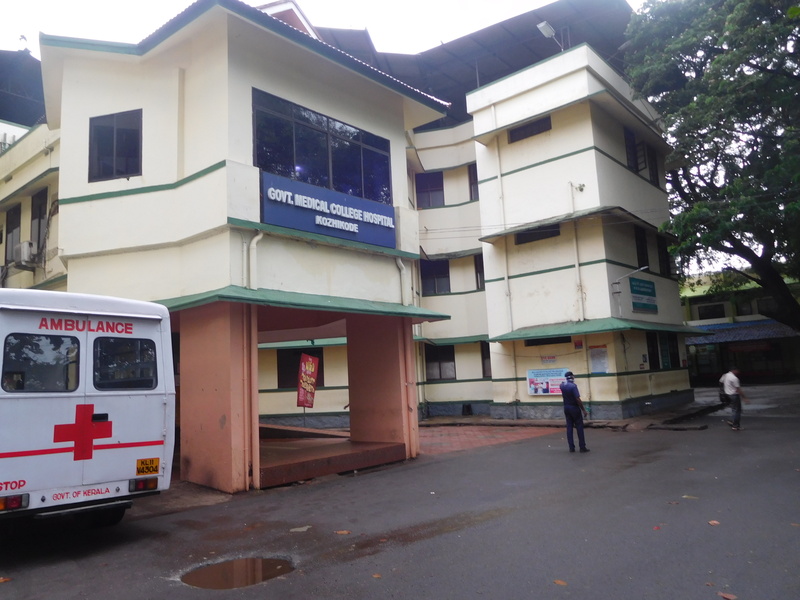 Even the Government Medical College Hospital in Kozhikode, where 14 of the infected were treated, wears a deserted look. Hospital authorities said the facility used to attract over 3,000 patients a day but the number had come down drastically since May 20, when the presence of the Nipah virus was confirmed. “Less than 200 patients came here on Monday,” they said. Ismail, who sells books and lottery tickets near the hospital entrance, attested to this, adding that his business had suffered as a result. “I used to earn Rs 500 before Nipah outbreak, now I can’t even get Rs 100,” he said. The Government Medical College Hospital in Kozhikode treated 200 patients on Monday compared to its usual volume of 3,000 a day. The Nipah scare has taken a big toll on public transport in Kozhikode. With many people avoiding bus travel for fear of contracting the virus from their fellow passengers, bus operators have been forced to cut down the number of trips by almost half on many routes here. “People are scared to travel to places hit by the Nipah virus,” said K Radhakrishnan, general secretary of the Kozhikode District Bus Operators’ Association. Face masks are everywhere in Kozhikode. While business is down on the whole, fruit sales have been hit particularly hard in Kozhikode, which is Kerala’s largest fruit market. Rumours that the virus spreads through fruit bitten by bats have not helped. According to All Kerala Fruit Merchants’ Association president PV Hamza, sales have plummetted 50% across the state in the last three weeks. “Fruit worth Rs 20 crore were sold in Kerala, but it slumped to less than Rs 10 crore,” he said. He added that Kozhikode accounted for daily sales worth Rs 2 crore but the sale volume had now dipped “below the Rs 1 crore mark. As a result, more than 30,000 retail fruit vendors in the district have incurred huge losses”. According to reports, Kerala sources 90% of its fruits from other states. He added that he had “heard that ripe mangoes are rotting in warehouses in other states”. 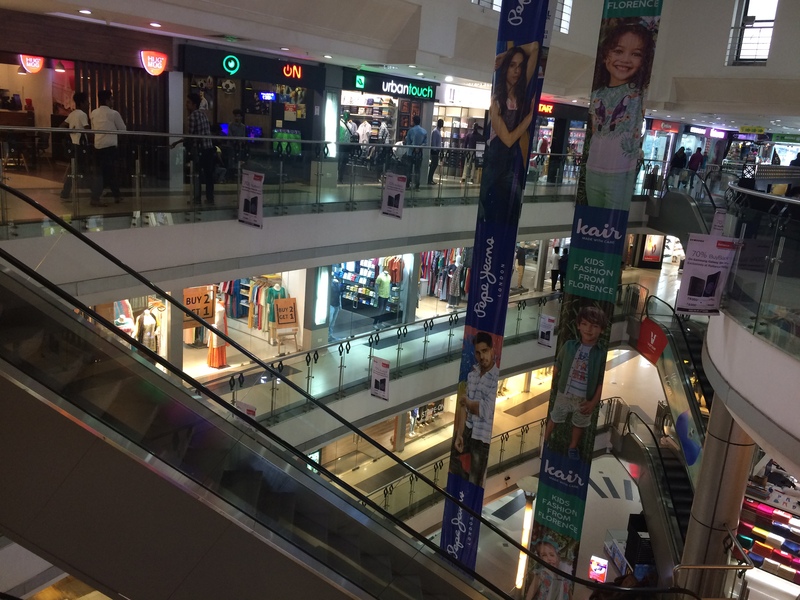 A near-deserted shopping mall in Kozhikode. The blow to business from the Nipah virus follows losses from the demonetisation of high-value currency notes in 2016 and the hasty introduction of the Goods and Services Tax last year, according to the Kerala Vyapari Vyavasayi Ekopana Samithi, an organisation of traders. 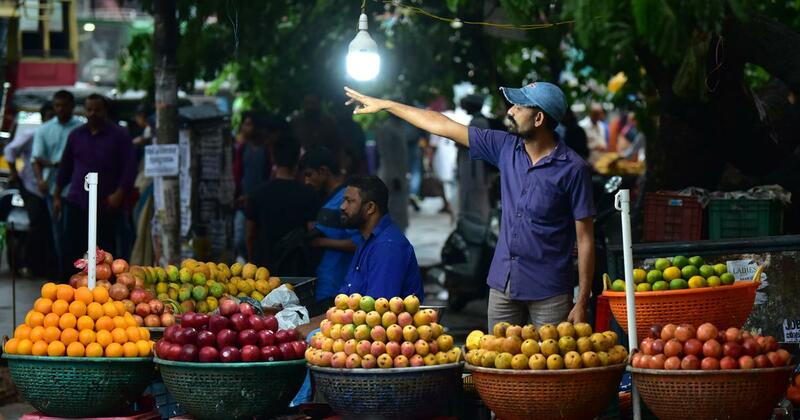 K Sethumadhavan, the organisation’s district secretary in Kozhikode, said the timing was especially bad as traders were anticipating brisk sales because of Ramzan and the re-opening of schools after the summer break. Instead, “sales dropped more than 70% in the last three weeks”, he said. All photographs by TA Ameerudheen.